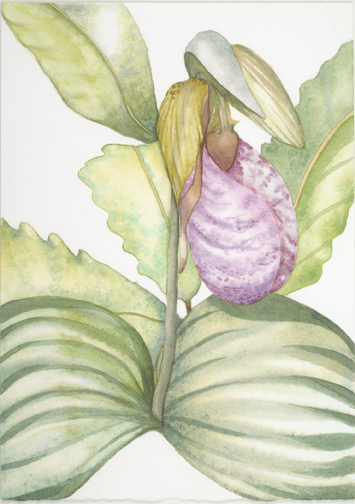 The pink lady’s slipper, one of the markers of spring in the woods. This series of small watercolors, 7″ x 5″, was painted to benefit a small West Virginia educational foundation. You are currently browsing entries tagged with spring in the woods at Marcia Mitchell.